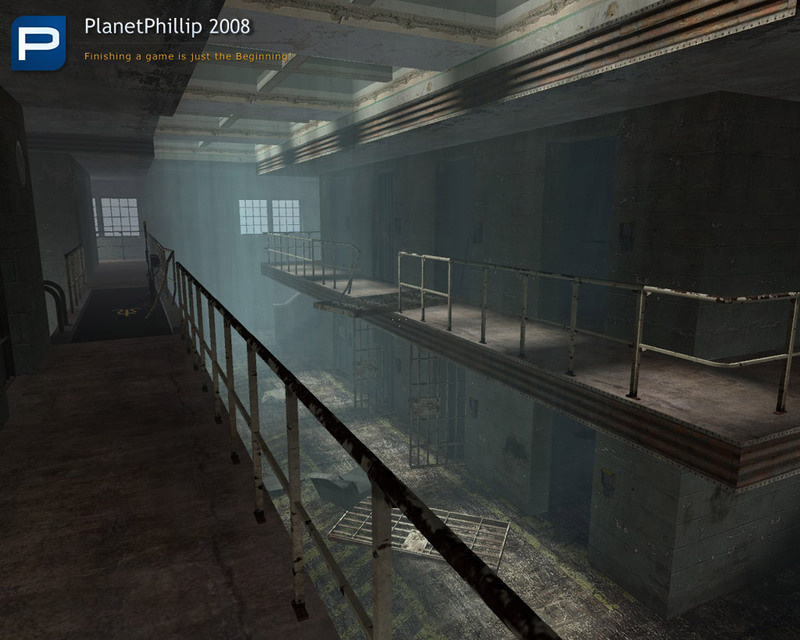 Author’s Notes: This level that takes place on a mysterious, haunted prison isle. 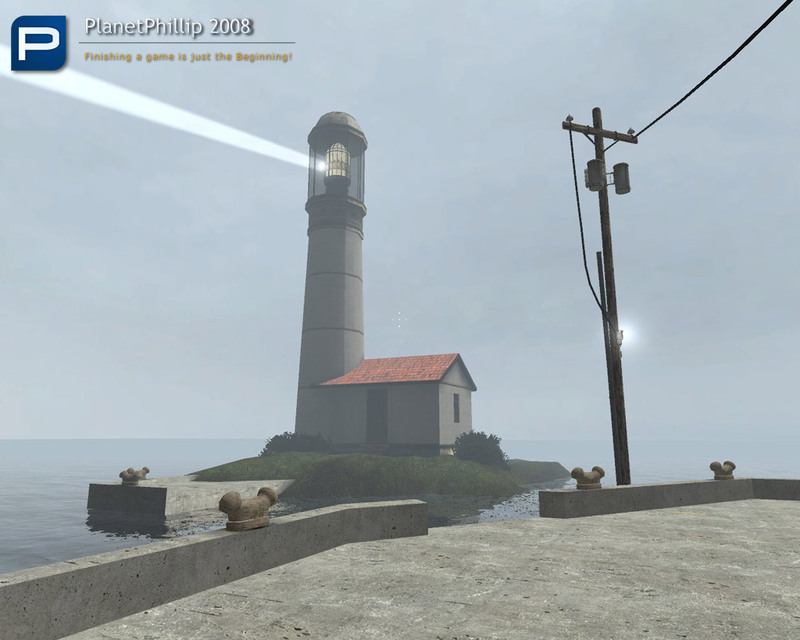 The player must overcome a series of Myst-style puzzles to find a way to reach the lighthouse. Limbus Island is a study in non-verbal communication, as the player must discover their goals and puzzle solutions solely through visual and audio cues. 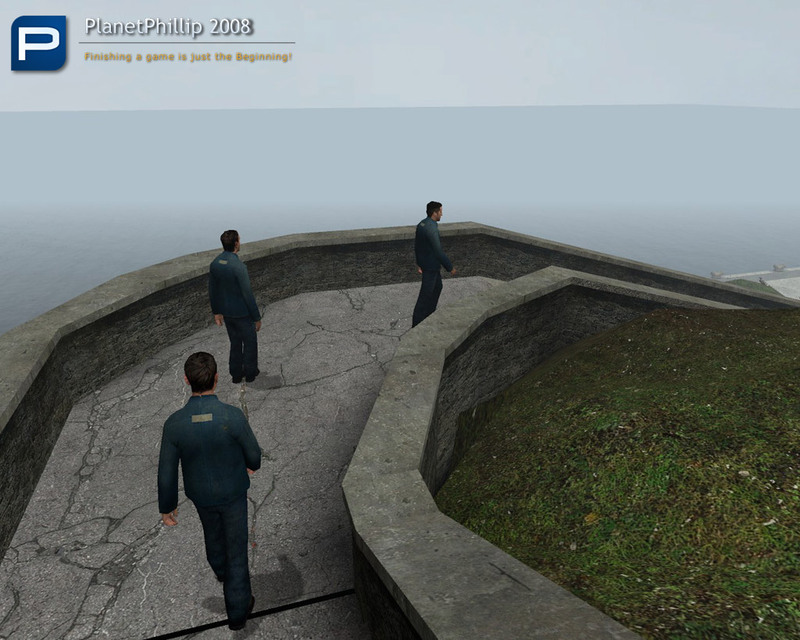 Copy ellison_limbusisland.bsp into your Half-Life 2: Episode Two Maps folder. Open the console and type map ellison_limbusisland. There is no combat in this level, it’s an adventure. Personally I don’t enjoy these types of games and even considered not adding it to the site. That’s not because it wasn’t very good but because the site is focused on other types of games. Anyway, I have and now you can play it. The puzzles aren’t too hard and the ending is very good. The quality of the design and level itself is very good, although there’s too many invisible walls. It’s a shame that the basic idea couldn’t be merge with combat. 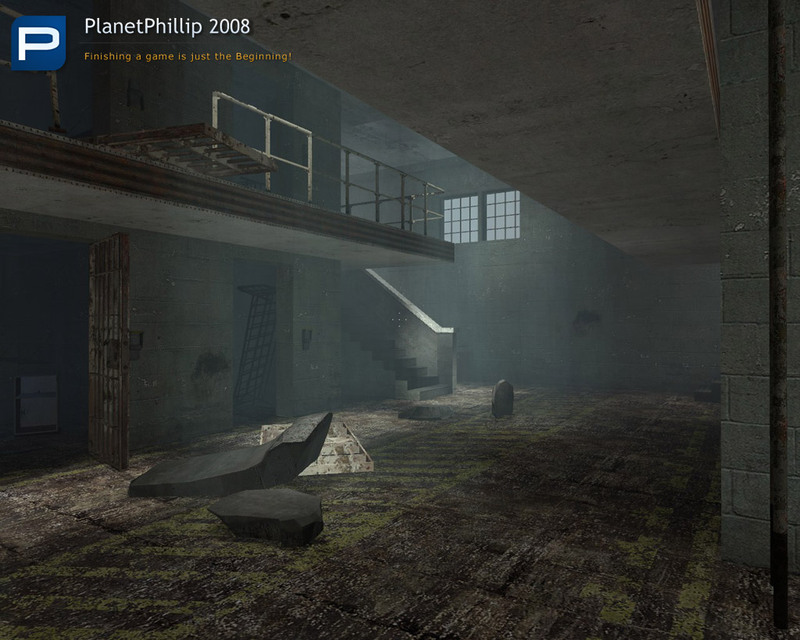 If you enjoyed Myst and similar games then definitely download, play and comment but if you are looking for HL2 universe combat, give this open a miss. I’ll try it.Played all the myst series. When I try to play the map, for some reason, the AI disables itself after completing the very first little puzzle. So as I try to progress through the map, any hints given by NPC’s is removed. Any help? I thought it was a refreshing change of pace to solve puzzles like that. For what the author is trying to accomplish, I would say he succeeded. The level design is a little plain, and there are a lot of invisible walls. It would be better if the size of the level was decreased, or more content was put into what’s there. I get tired of walking long distances with nothing to do or look at. Some well placed combat would help, in areas that won’t make the player miss a clue. Some more puzzles like the floor tiles would be nice, that genre of puzzle. You don’t see things like that very often in mods, but they’re still fun. It’s not great, but I enjoyed it. Only play it if you like puzzles and don’t mind the lack of combat. I’m all for mods and maps that try to be a little different from the usual “shoot em up” – although this one I can’t say that enjoyed for the reasons below. This is the only map that I’ve come across that actually made the game disable the AI, and even trying to activate it again using the console just didn’t work. It seems to disable itself once you quick load or load a previous saved game from the map. I also had some major, and I mean major, framerate issues after about 10 minutes of play. From the usual clean and fluid framerate it always went down to 5 frames per second, usually when looking into one direction. and then into the elevator. During the ride you see people buring and screaming until the elevator snaps and starts to free fall. After the blackout it resets itself back to the beginning… did I do something wrong? Or what? I did all of the 6 puzzles. Loke, the same thing happened to me, it seems a bit redundant. I managed to play the level and was satisfied by solving the puzzles. It did seem a bit plain, but that wasn’t the aim of the map in my opinion. I got the AI_Disable thing, and like”Loke” couldn’t get it to re-enable, very frustrating. It sorted itself out on a new game, but I got so fed up when the NPCs kept disappearing and not giving any clues or anything that my normal patience with most mods evaporated and I gave up….Is it worth trying again? Ha! I came here to comment on my own level but noticed that Brent’s is up here as well. 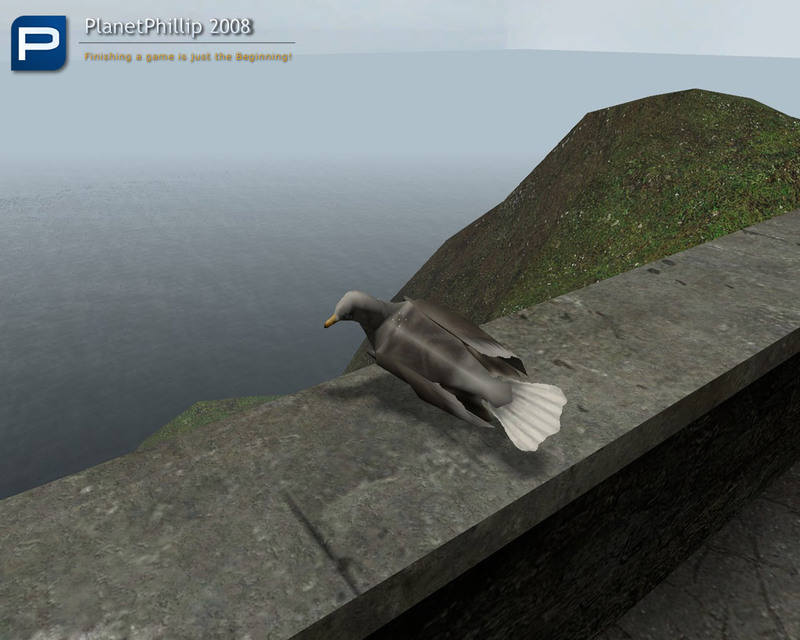 The ‘myst” comparison is very good. I also likened the atmosphere in this level to a Silent Hill like experience, though more for the atmosphere than true horror. Personally, I really enjoyed this level and Brent’s unique approach to putting it together. I also helped him troubleshoot and revise his puzzles a bit, though I’d say 99% of this is all his work. I’d definately recommend it to someone looking for something different. 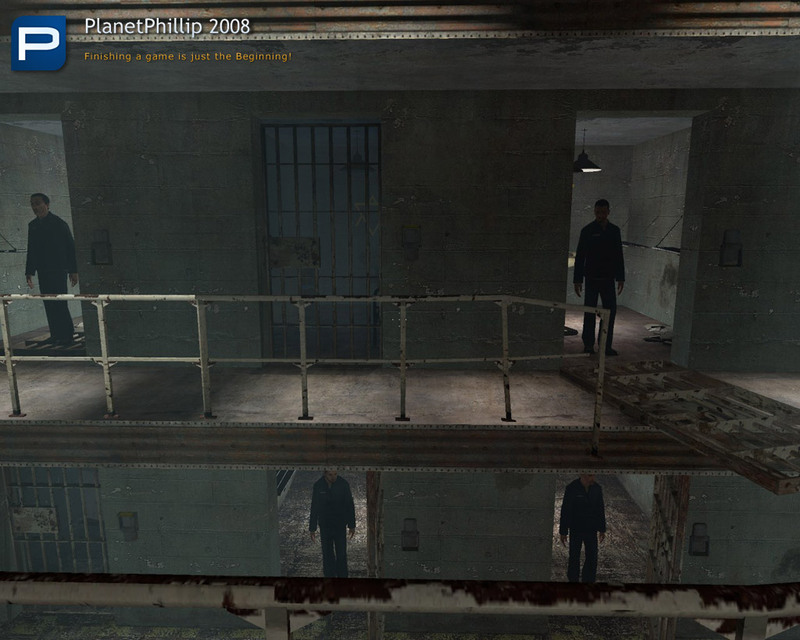 This is definately not what I would call a “Half-Life 2 level in the traditional sense. 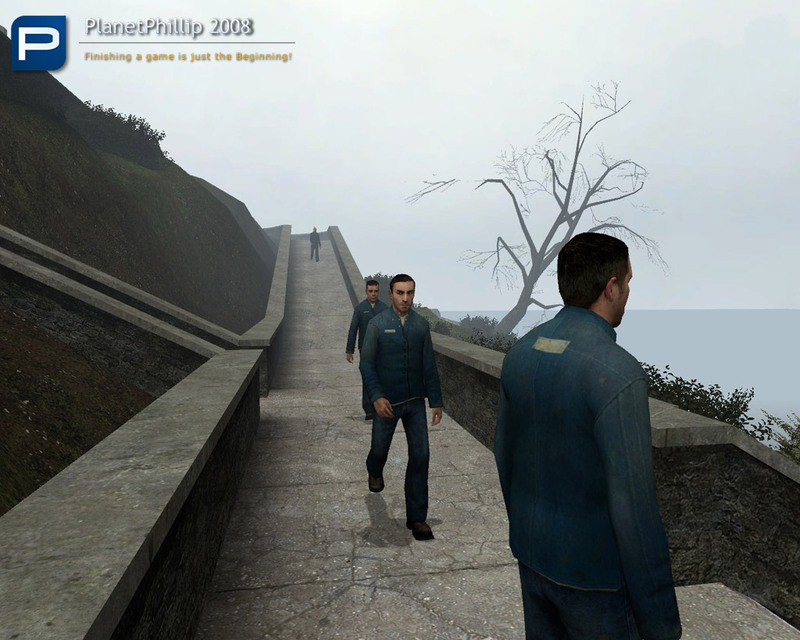 It’s more an experience unto itself that just happens to use the Half-Life 2 engine. The story and most of the mechanics are a far cry from the original game, so I think people going into it expecting a Half-Life 2 like mixture of puzzles and action will be disappointed–that by no means says it’s a poor level, just that it’s different and unique. The best expectations to go into when playing this map are to expect an interesting, atmospheric puzzle experience with a unique ending. Honestly this was one of my favorite maps out of those my cohort completed simply because it was so vastly different from the other stuff we were working on and the atmosphere really worked for me. Someone mentioned being confused about the ending and it seeming repetitive. This is actually intentional–what Brent is trying to convey here is the idea of Purgatory, another concept you see referenced in the Silent Hill games. So, hopefully that makes the ending make a bit more sense. A neat little puzzle romp. Puzzles were easy to grasp without being too easy to complete. Not a fan of the ‘turn the crank” puzzle, seemed to be filler. Also, saw that others complained of too many invisible walls, but I didn’t view it as a problem. That one complaint aside was very impressed with the game as a whole. Would like to see more like this. Some of the puzzles were really inventive. They weren’t too difficult to the point of frusturation, but they were hard enough that they took some thought, which made it satisfying to solve them. There are some problems that people mentioned before like the invisible walls and the slow pace but they aren’t that big of a deal. I suspected that I was in purgatory just from the general feeling I got from the map which shows that they really conveyed the atmosphere well. Took me a little while to figure out the title (limbus=limbo). The ending where you “moved on” to the real afterlife was one of my favorite endings for any mod I’ve played although I don’t get why it restarted. This was an interesting puzzle map. The puzzles are easy enough to figure out. I didn’t mind the invisible walls too much, because walking on the path was easier. I hate not having the suit, though–I’d like to be able to run when I’m backtracking rather than bunny hop. I’m not a big fan of puzzle maps either. But this was OK. I was able to figure out the puzzles out without any frustration, which is good. Playing hard puzzle maps that do cause me frustration is not fun so why would I want to do them. So, this one was good. Not too hard and not too long. I did get the ending. I liked this. Most of the puzzles were pretty simple, the tricky part was just figuring out what constituted positive feedback. 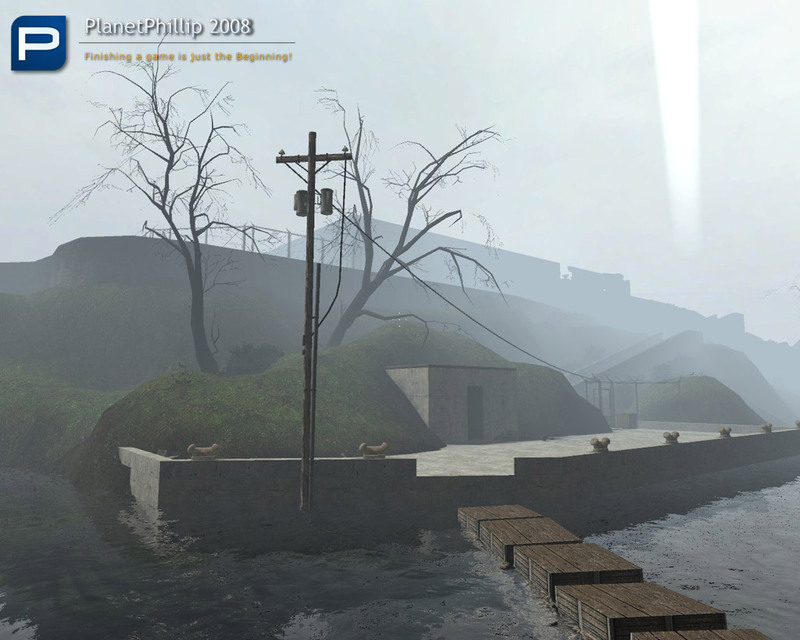 It did an excellent job of capturing the feel of Myst, except without the cut to the new location you moved to that caused you to get disoriented. The only problem that I really noticed was that it was entire possible to only do about 2 or 3 of the 4 – 6 puzzles and still finish the game. I’d very much like to see a more extensive puzzle island done in this style, but perhaps with sprinting enabled so things can move a bit faster. Nice puzzle mod with a somewhat creepy atmosphere, what with the ghosts and the blanket of mist. It was nice to walk around listening to the sound of the sea and not being bothered. The ghosts helped by being clues to puzzle element locations. The dark nature of the game led to me missing some of the puzzle pieces, playing in a pitch-black room helped. The ending was rather odd. I found myself on an, ” express elevator to hell and going down” to paraphrase Hudson! Haven’t played yet, but just want to let you know that the download is incorrect. 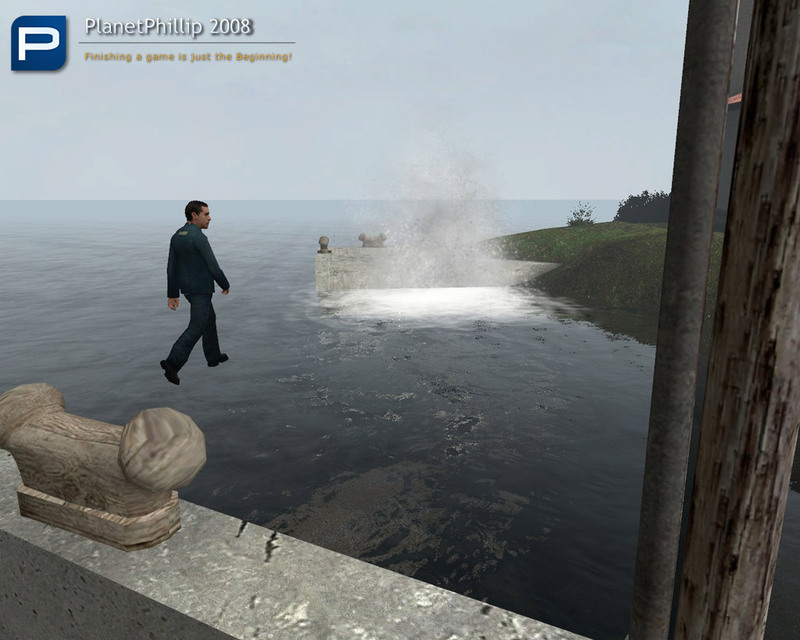 It leads to hl2-ep2-sp-limbus-island-mod but the actual file is hl2-ep2-sp-limbus-island. I actually really enjoyed this, but I’m giving it a maybe recommendation because not everybody will find it quite as interesting as I did. 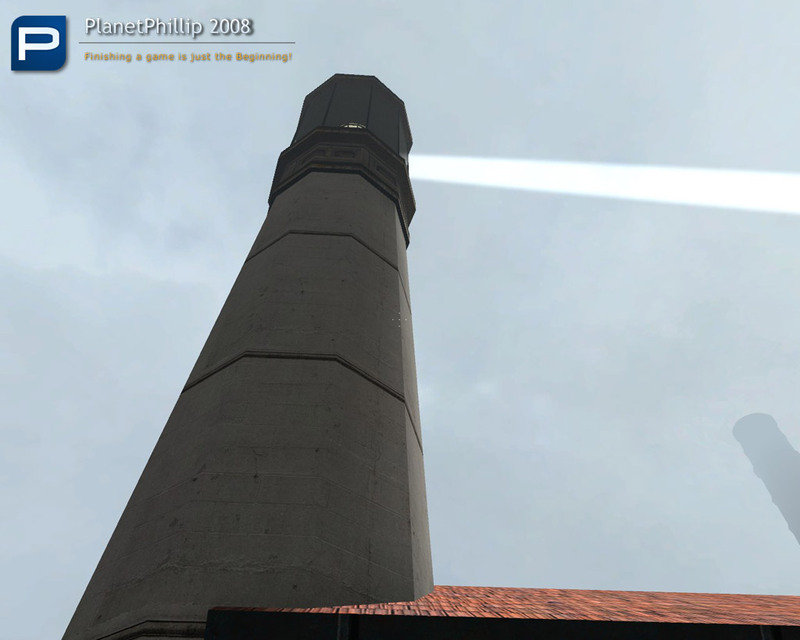 It’s a puzzle map that’s very open-ended, much like Myst of course. The puzzles are logical and fun, and the ghost(?) people were a nice touch. I also really like the atmosphere in this level, and the visuals are rather good too. The ending’s a bit silly, but I didn’t mind too much. The map is actually winnable with only four out of the five puzzles completed, I’m not sure if that was intentional or not. Overall, if you’re interested in adventure-esque puzzle games, play this. It’s a neat level. This map for me is a must play. 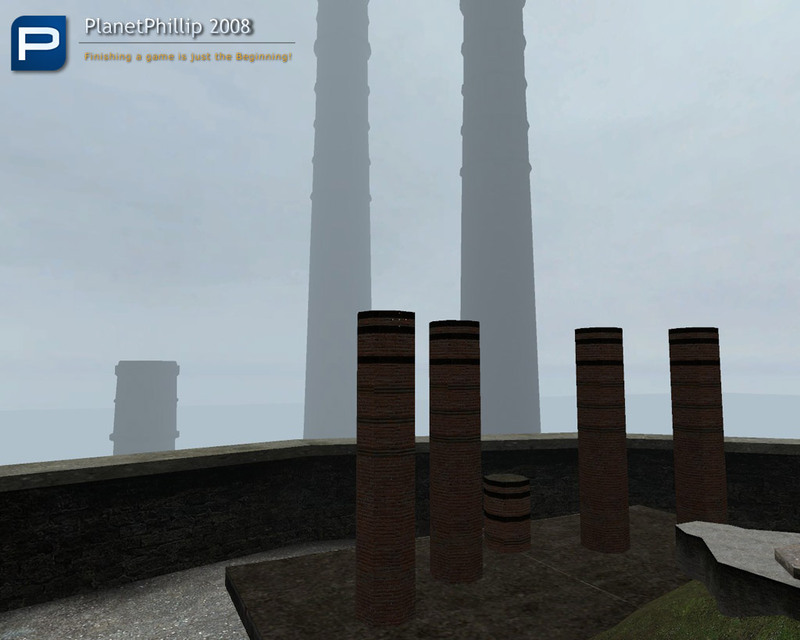 I was a huge fan of Myst and its sequel, Riven, so it’s no doubt that I love these kind of maps. I love the atmosphere, the environment, the puzzles and the lack of combat for these map is almost necessary. If you don’t enjoy these maps, then you will probably find it boring, but I love them. Overall, it’s a matter of choice whether you should play it or not. 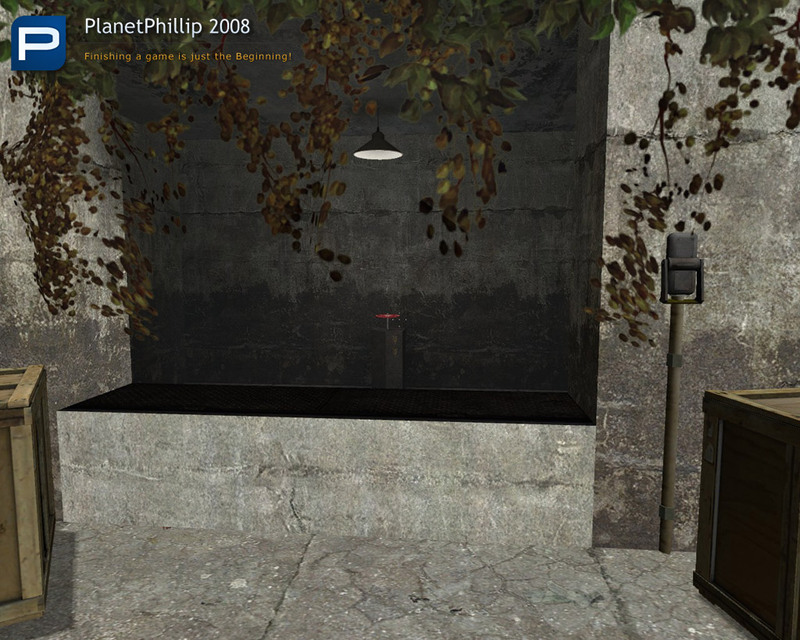 If you like Myst, then play this. If not, then you won’t like this at all. 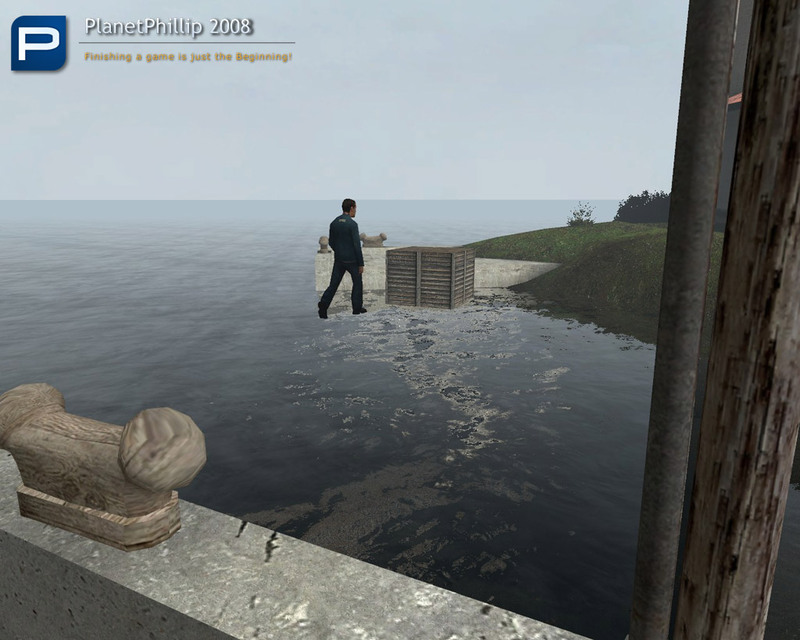 I’m glad that the download button got fixed, but I have an instant issue in the game: on falling in the water for the first time (why do you drown instantly? why can’t I even swim a foot?) the AI gets disabled and the default value for the console is off so I’ll have to actually enable that next time I open it. Thing is, I’ve always had problems with mods that accidentally go AI Disable on me – *no matter what I try* it never reverts to enabled, console commands or not. Is there some other issue I need to address when mods do this to me? There are a couple I can’t remember off the top of my head which ones, that I have tried going back to play, even redownloading, and they *never* get off AI Disable. Is there some config command I’m missing, that maybe got broken somewhere in my hl2/episodes install? This has happened since long before the steampipe changes, it wasn’t new with those.